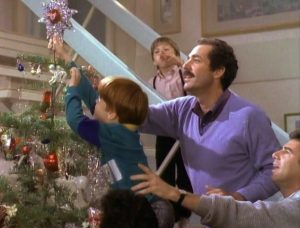 I didn’t grow up in a big Christmas movie family. We didn’t gather ‘round the television with a big bowl of popcorn and piping mugs of hot chocolate. There just wasn’t that much Currier and Ives in us. Oh, sure, I knew It’s a Wonderful Life and Miracle on 34th Street, but I missed out on things like White Christmas and Christmas in Connecticut. 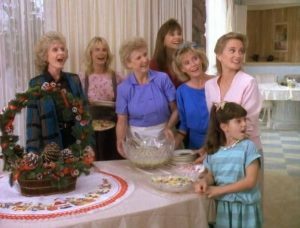 By the time I was a young adult, something clicked in me that made me say, “As God as my witness, I’m going to make up for lost time where my holiday movie viewing is concerned!” And in 1988 when A Very Brady Christmas first aired, I was sitting there with my popcorn and hot chocolate, poised to see what I knew was destined to be one of the greatest Christmas movies of all time! That’s right. 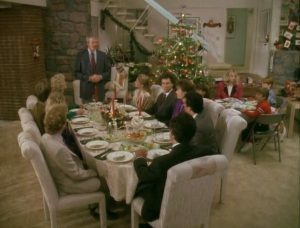 I just called A Very Brady Christmas a holiday great. And if you don’t agree with me then you’re worse than a Grinch. You’re a Brady hater and that is something, which I will not tolerate. 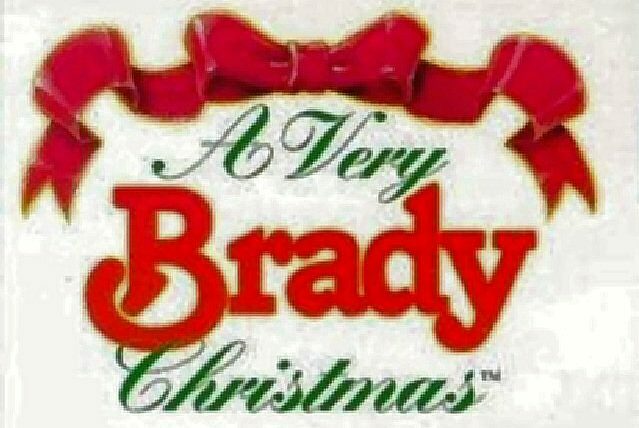 I took a stroll down Brady Christmas Lane last night and I would like to share my most random of random Brady thoughts with you. What the hey were they thinking with that updated 80’s decor? The house was awash in a sea of seafoam green! 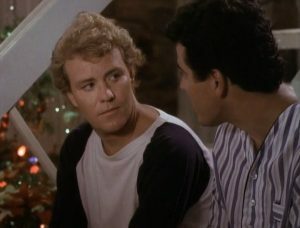 If they went to the trouble to dye Bobby’s hair for the entire run of the show, then I think they should have kept it up for A Very Brady Christmas. It was disturbing to see him as a strawberry blond. And, as my very least favorite of the Brady offspring (even behind Cousin Oliver), Bobby didn’t need any extra strikes against him. Speaking of Bobby… I can see why he was hesitant to tell Mike and Carol he dropped out of college to become a racecar driver. He probably remembered when Carol was a nervous wreck over Greg playing high school football and how much the entire family overreacted when he sprained his ankle and couldn’t climb into the club treehouse. 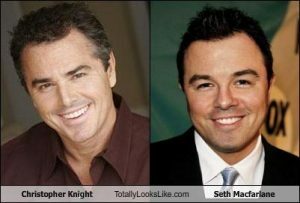 Peter Brady and Seth MacFarlane look more alike than the Olsen twins. Seth MacFarlane wasn’t in A Very Brady Christmas, but he might as well have been. Peter even looked good in his Ebenezer Scrooge nightgown. Seth MacFarlane should take comfort in that. 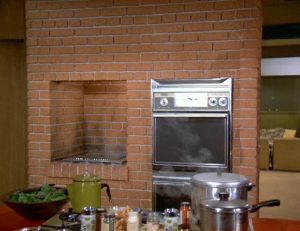 I like how they stuck the microwave into the hole where the built-in grill used to be. Cindy has never looked better. Oh, wait. Susan Olsen was the only of the Brady children to not appear in the movie. Wikipedia tells me filming conflicted with her honeymoon. Well, the marriage didn’t last and I’m still talking about the movie, so perhaps Susan made the wrong decision. Of course, after that homophobic rant that caused her to lose her job, last week, it’s apparent little Cindy didn’t grow up to make stellar decisions. Someone needed to discipline Marcia’s little hellion of a son, Mickey. I’m sure Jan felt pretty smug about how the kid acted. Maybe Marcia, Marcia, Marcia wasn’t so perfect after all. 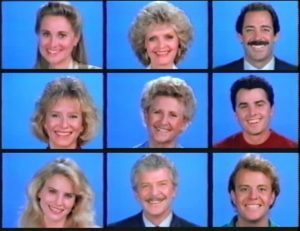 Jan should have stuck with George Glass because her husband, Philip, was a step down from an imaginary boyfriend in the personality department. 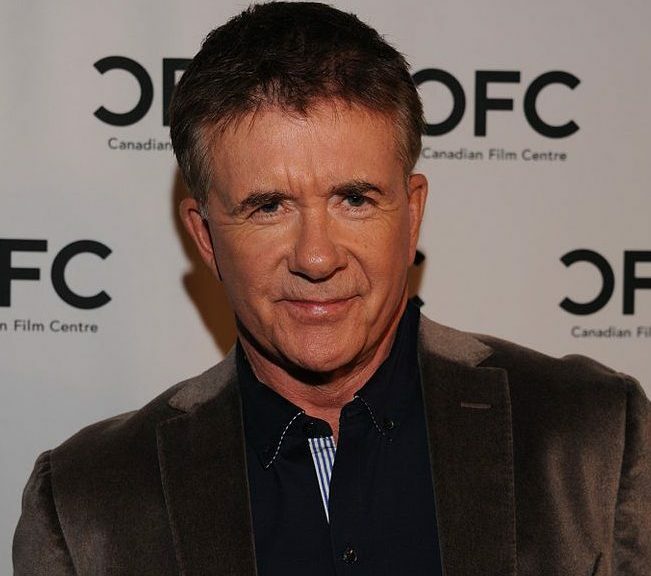 I remember that from The Brady Brides, too. And for a genius, he’s not very bright. The man thought it would be more comfortable to sleep in a filing cabinet than on the floor. 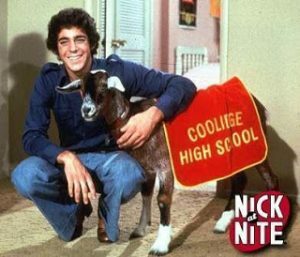 Why are we pretending we didn’t renovate the attic into a perfectly groovy room for Greg and a stolen goat more than a decade ago? There was no reason for Jan’s husband to be sleeping on the floor or in a filing cabinet. Oh, my heart! 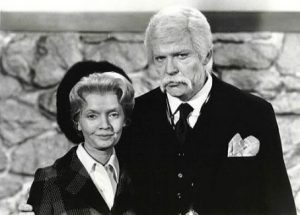 Sam the butcher cheated on Alice with a younger woman. Ugh. Well, if he hadn’t dragged his feet for so long, he could have married Alice when she was a younger woman. Commitment issues, much? 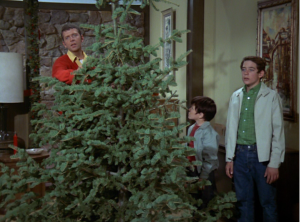 Kudos to the prop department for finding an identical tree to one in The Brady Bunch Christmas episode! These people were not raised in a barn! They know better than to eat all of Alice’s Christmas pies in a middle of the night sulk-fest. But, Alice, let it go already! The pies are gone! Stop looking for them. 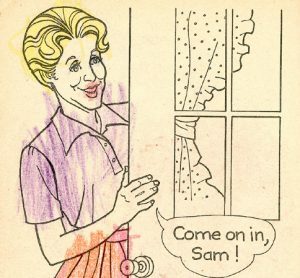 I’m beginning to think Sam had some valid complaints. Hey! 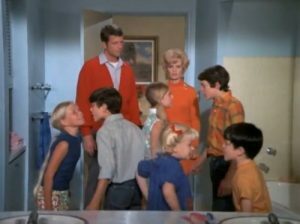 When did the Bradys get a downstairs bathroom? That would have come in handy when raising six kids. Cindy, I feel your pain about sitting at the kids’ table. Been there, done that. What kind of woman was Greg married to, anyway? I wanted to like Nora, but a normal mother doesn’t go off and leave a young child so she can spend Christmas with her family. Grow the heck up, Nora! You’re a nurse, married to Dr. Johnny Bravo Brady, himself. Carol made a very believable Realtor. I liked her 80’s power hair. I could practically smell the Aquanet. It’s hard to believe Mike died less than three and a half years after the movie originally aired. He looked like the picture of health. I hate AIDS and HIV. When Mike was trapped in the building collapse and the crowd started singing “Oh, Come All Ye Faithful,” just like Carol sang in church that year when Cindy asked Santa to give Mommy her voice back, I bawled like a baby. Yes, I did. Don’t judge me! 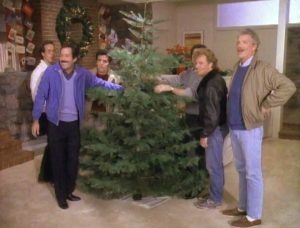 It was a miracle on 34th Street! 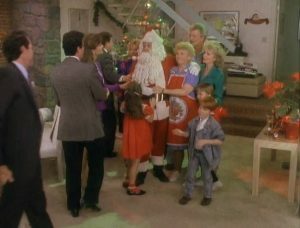 When Sam the butcher showed up in a Santa suit to beg Alice’s forgiveness, someone needed to scream, “Stranger Danger!” because that was not the real Sam the butcher. Cindy was lucky they didn’t make her wear a fake beard because she wasn’t the real Cindy either. It’s a shame Great-Grandma Hutchins did not make a cameo appearance. I feel that would have added an extra layer of depth. Sherwood Schwartz, you did it again! 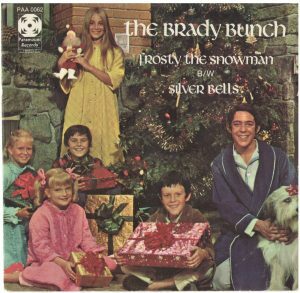 Now, if you’ll excuse me, I’m going to go listen to my Brady Bunch Christmas album. I’m in the mood to hear Cindy singing, “Frothty the Thnowman”.